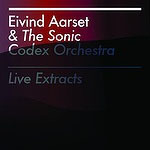 For his fifth album as a leader, Norwegian guitar phenom Eivind Aarset captures the improvisational power and prowess of his expanded Sonic Codex Orchestra. Live Extracts, culled from six different venues over the course of the past year. With minimal editing and no overdubs, this is as close to experiencing Aarset in performance as many will get, and for that reason alone is worthy of attention. Aarset, interviewed recently at All About Jazz, may be more Guitar Anti-Hero than the chops-laden six-stringers who largely populate the upper echelon, but it's not that he doesn't have them; he just chooses not to use them. His channeling of Terje Rypdal through Allan Holdsworth on early albums like Electronique Noire, his 1998 Jazzland debut, remain subsumed somewhere amidst the electronic wizardry and his ability to take the simplest soundlike tapping the body of his guitar gently with the palm of his handand turn it into something musical. But with an increasing focus on the cinematic power of his writing and the use of a broad array of devices to create expansive sonic landscapes, Aarset's selfless approach to playing simply couldn't be accomplished by someone without a profound knowledge of his instrument. Here, however, there's greater emphasis on his compositions' improvisational possibilities, with a group featuring two drummers, a second guitarist who doubles on pedal steel, a trumpeter/synth player, and a bassist. Larger settings often diminish the ability for focused collective improvisation, but when the emphasis is on sound, groove, and texture, the potential actually opens up further. The chords and simple melody of "Electromagnetic," in other hands, could become tedious; but over the course of ten minutes (twelve, if you include the spontaneous, ambient-textured intro, "Electromoers"), Aarset and his group move from a whisper to a roar, with shades of 1970s-era electric Miles Davis peeking through in Gunnar Halle's spare but rich melody lines. 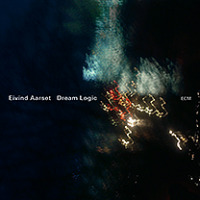 The majority of Live Extracts's material is culled from Sonic Codex (Jazzland, 2007) and Connected (Jazzland, 2004), but live Aarset eschews structural weight, even as the music feels as though its inevitable evolution is preconceived. "Still Changing" moves from an ethereal opening, where Aarset and bassist Auden Erlien weave a delicate yet rhythmic web beneath Halle and guest saxophonist Håkon Kornstad, to a thundering theme that could be the soundtrack to a Quentin Tarantino film. The minor-keyed melody and Aarset's Ebowed guitar (sounding like a double-reeded ney) lend "Drøbek Saray" a Middle Eastern tinge, but Aarset's piercing guitar and controlled feedback ultimately build to an almost unimaginable fever pitch, all without the excess of "guitar god" posturing. Live Extracts, beyond the performance itself, is most remarkable in that it feels as though it's from a single performance, despite two tracks actually being the seamless merging of two separate performances. Aarset the producer is as meticulous and well thought-out as Aarset the player, and the resonant, rarified yet powerful Live Extracts acts as both consolidation and overdue document of this increasingly significant artist's persistent evolution. Track Listing: Electromoers; Electromagnetic; Still Changing; Drøbek Saray; Murky Seven; Sign of Seven; Blå Meis. Personnel: Eivind Aarset: guitar, electronics; Gunnar Halle: trumpet and synth (1-3, 5, 6); Bjorn Charles Deyer: guitar and pedal steel; Audun Erlien: bass; Wetle Holte: drums, electronics, percussion; Erland Daheln: drums and percussion (1, 2, 5-7); Håkon Kornstad: saxophone (3, 7); Torstein Lofthus: drums (3).